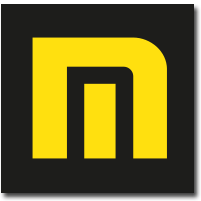 Foundation of MANUMESURE, a company specialized in After-Sales service for electrical measuring instruments. Opening of 10 technical centres spread throughout France. Implementation of a Quality Plan and achievement of RAQ3 certification for the military and Q3 certification for nuclear power plants by the Paris-Nord agency. Opening of a 16th technical centre in France. 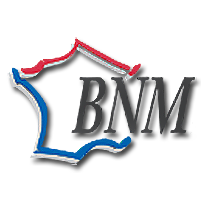 Certification of the Lyon technical centre for Electricity / Magnetism by the BNM (French national metrology bureau). 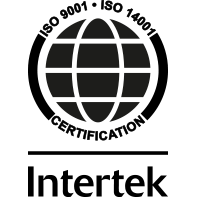 The UTO (EDF's operational technical unit) grants ISO 9002 and ISO IEC guide 25 certification to MANUMESURE. COFRAC accreditation 2-1035 for Electricity / Magnetism granted to the technical centre in Reux (Normandy). COFRAC accreditation 2-1310 for Dimensional Applications for the Colombelles laboratory. COFRAC accreditation 2-1336 for Temperature for the Reux technical centre's laboratory. COFRAC accreditation 2-1405 for Electricity / Magnetism and 2-1406 for Time / Frequency granted to the Annecy technical centre. ISO 9001 version 2000 quality certification of Manumesure and CEFRI certification for operations in nuclear plants. COFRAC accreditation 1-1318 for Sampling of Atmospheric Waste granted to the Colombelles laboratory. COFRAC accreditation 2-1615 for Pressure granted to the Lyon technical centre and COFRAC accreditation 3-145 for Inspection granted to the technical centre at Reux (Normandy). COFRAC accreditation 1-1623 for Mapping of Temperature-Controlled Chambers (NFC 15-140) and MASE certification of the Colombelles laboratory. COFRAC accreditation 1-2000 for Sampling of Atmospheric Waste granted to the Lyon technical centre. COFRAC 2-1913 accreditation for Micropipettes and MASE certification granted to the Lyon technical centre. 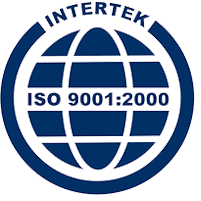 Manumesure is certified ISO9001 version 2008 and ISO14001 version 2004. Extension of COFRAC accreditation 1-1623 for Mapping of Temperature-Controlled Chambers according to the European standards (NF EN 600068). Extension of COFRAC Inspection accreditation 3-145 for ERP. Extension of COFRAC accreditation 2-1336 for Temperatures on customer sites. Extension COFRAC accreditation 2-1406 for Frequency up to 26 GHz and for centrifuge testing. COFRAC accreditation 1-5650 for Production of certified pH reference materials. COFRAC accreditation for Ambient Air in buildings receiving children under 6 years old. Extension of COFRAC accreditation 1-1623 for thermostatic baths.